Title: Combating resistance to antibacterial and anti-parasite ribosomal antibiotics? Howard Y. Chang M.D., Ph.D. is Director of the Center for Personal Dynamic Regulomes and Professor of Dermatology at Stanford University School of Medicine. Chang earned a Ph.D. in Biology from MIT, M.D. from Harvard Medical School, and completed Dermatology residency and postdoctoral training at Stanford University. His research addresses how large sets of genes are turned on or off together, which is important in normal development, cancer, and aging. Chang discovered a new class of genes, termed long noncoding RNAs, can control gene activity throughout the genome, illuminating a new layer of biological regulation. He has invented new methods for defining the shapes of RNA and DNA genome-wide. The long term goal of his research is to decipher the regulatory information in the genome to benefit human health. Dr. Chang’s honors include the Paul Marks Prize for Cancer Research, Judson Daland Prize of the American Philosophical Society, Howard Hughes Medical Institute Early Career Scientist, the Vilcek Prize for Creative Promise, Alfred Marchionini Research Prize, American Cancer Society Research Scholar Award, Damon Runyon Scholar Award, and elected membership to the American Society for Clinical Investigation. 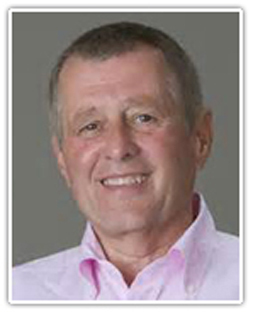 His work was honored by the journal Cell as a Landmark paper over the last 40 years and by Science as “Insight of the decade”. The discovery of extensive transcription of long noncoding RNAs (lncRNAs) provide an important new perspective on the centrality of RNA in gene regulation. I will discuss genome-scale strategies to discover and characterize lncRNAs. An emerging theme from multiple model systems is that LncRNAs form extensive networks of ribonucleoprotein (RNP) complexes with numerous chromatin regulators, and target these enzymatic activities to appropriate locations in the genome. Consistent with this notion, long noncoding RNAs can function as modular scaffolds to specify higher order organization in RNP complexes and in chromatin states. The importance of these modes of regulation is underscored by the newly recognized roles of long RNAs in human diseases. Antisense technology continues to advance with numerous 2nd generation and beyond antisense drugs in advanced development and quite substantial advances in understanding the molecular events that underlie the mechanisms of action, distribution and side effects. These advances define an exciting potential future for antisense technology and will be discussed. Therapeutic nucleic acids including antisense oligonucleotides – significant progress towards a viable drug platform for tackling intractable targets in oncology. Recent human clinical data has demonstrated potent activity of systemically-administered, unformulated, antisense oligonucleotides (ASOs) when targeted to liver expressed genes. However, robust activity in extra-hepatic tissues including tumours has been limited with initial ASO chemistries. In contrast, high affinity next generation ASOs have been successfully used to target transcription factors and other intracellular proteins in multiple preclinical cancer models, leading to the translation of these drugs into the clinic. Our experience to date with next generation ASO technology suggest this platform is poised to become a key therapeutic modality to modulate a range of tumour targets intractable to small molecules or antibodies. Jan Gorodkin holds a MSc in physics from the Niels Bohr Institute and obtained his Ph.D. in Bioinformatics from Center for Biological Sequence analysis at the Technical University, Denmark. He did his post docs at Aarhus University, Denmark and Washington University Medical School, St. Louis. 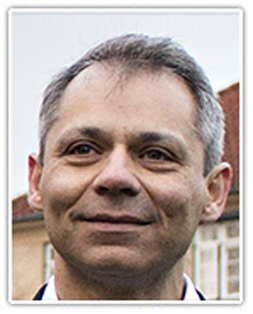 He took up positions at the Royal Veterinary and Agricultural University (now University of Copenhagen), and is now professor and head of the bioinformatics group as well as director of Center for non-coding RNA in Technology and Health in the Department of Veterinary Clinical and Animal Sciences. His research interests span from RNA bioinformatics to animal and human genome analysis and his research group has been involved in developing numerous computational tools as well as applying them on genomic and transcription data. A key challenge in computational RNA biology is to search for conserved RNA (secondary) structures, as the conservation of base pairs not necessarily implies conservation in sequence. We have addressed this through a RNA structural alignment strategy followed by a CaptureSeq strategy and structure probing on selected candidates. We also address another key RNA bioinformatics challenge for genome/transcriptome-wide searching of RNA-RNA interactions which is computational expensive. We employ a suffix-array implementation along with a simplified energy model and reach a substantial increase in speed. We, furthermore, use this in an implementation of a siRNA off-target pipeline for which we find inverse relationships between our off-target measure and inhibition efficiencies of siRNAs. Chuan He is the John T. Wilson Distinguished Service Professor in the Department of Chemistry, Director of the Institute for Biophysical Dynamics at the University of Chicago, and an Investigator of the Howard Hughes Medical Institute. He is also a Cheung Kong Professor and Director of Synthetic Functional Biomolecules Center (SFBC) at Peking University in China. His recent research concerns reversible RNA and DNA methylation in biological regulation. 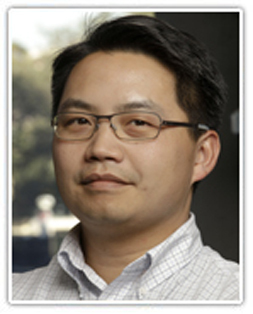 Chuan He’s laboratory has spearheaded development of enabling technologies to study the biology of 5-hydroxymethylcytosine (5hmC) in mammalian genomes. His laboratory also discovered the reversible methylation of N6-methyladenosine (m6A) in human messenger RNA (mRNA) in 2011. Cytosine methylation (5mC) is a well-established epigenetic mechanism essential for genomic imprinting, X chromosome inactivation, silencing of retrotransposons, and lineage-specific expression of many developmental regulatory genes. This epigenetic mark is installed and maintained by DNA methyltransfeases (DNMTs), and has been recently shown to be oxidized to 5-hydroxymethylcytosine (5hmC), 5-formylcytosine (5fC) and 5-carboxylcytosine (5caC) by the Ten-eleven- translocation (TET) family of protein dioxygenases. In humans and mice, 5hmC is found in most cell types and tissues, with the abundance ranging from less than 0.1% to 0.4% of all cytosines. By contrast, the abundance of 5fC and 5caC is very low to non-detectable. We have developed several methods that allow selective detection and sequencing of 5hmC, 5fC, and 5caC with limited genomic materials. Our results indicate genome-wide dynamic methylation/demethylation play critical roles in mammalian gene expression regulation. The presence of 5hmC in promoters, gene bodies, and enhancers of specific loci often associates with gene activation and reflects chromatin state changes. Sensitive detection of 5hmC will therefore offer the best means to interrogate and monitor cell transformation and gene expression changes in future disease diagnosis and prognosis. 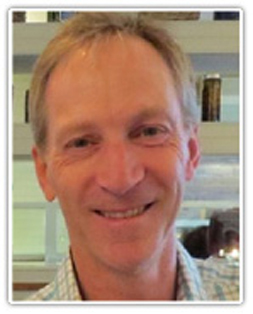 Rob Holt received his PhD in Pharmacology from the University of Alberta, Canada, in 1998. After a postdoctoral fellowship in molecular evolution at the State University of New York, Dr. Holt joined the company Celera Genomics in Rockville, Maryland where he served on Craig Venter’s team as the Scientific Operations Manager for initial sequencing of the human genome. Since 2003 Dr. Holt has been a Senior Scientist at the British Columbia Cancer Agency (BCCA), where he is Co-director of the BCCA Immunotherapy Program and Co-director of the Genome Canada Science & Technology Innovation Centre. Dr. Holt is recognized for his leadership role in decoding some of the first model organism genomes and pathogen genomes and, more recently, for developing next-generation sequencing methods for interrogating the genetics of the adaptive immune system. He has served as a scientific advisor to the NIH Human Microbiome Project and discoveries by his research group have linked new infectious agents to cancer risk. 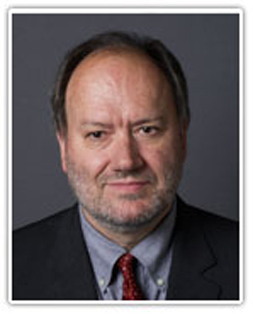 His current research directions are focused on cancer genomics, T cell engineering, and immune interventions in cancer. He has published over 130 scientific papers that have received >49,000 citations. The loci encoding adaptive immune receptors (eg. T cell receptors) have highly unique properties. Stochastic recombination events at these loci during lymphocyte development generate diverse and remarkably personalized immune repertoires that serve to protect self from non-self. With next-generation sequencing methods it is now possible to interrogate immune repertoires at clonotype resolution and obtain a comprehensive view of the adaptive response to immune challenge, including the anti-cancer immune response. However, linking T cell receptors to the specific antigens they recognize remains difficult, and new high-throughput methods will be required to define T cell targets and exploit the full potential of engineered T cell therapeutics. 1999-2005, CEO and CSO, ToolGen, Inc.
Genome editing that allows targeted mutagenesis in cells and organisms is broadly useful in biology, biotechnology, and medicine. We have developed ZFNs, TALENs, and Cas9/Cpf1 nucleases to modify chromosomal DNA in a targeted manner. In particular, we used purified Cas9/Cpf1 proteins rather than plasmids to correct large chromosomal inversions in the factor VIII gene that cause hemophilia A in patient-derived iPSCs or to modify diverse genes in animals and plants. The resulting cells and organisms contained small indels at target sites, which are indistinguishable from naturally-occurring variations, possibly bypassing regulatory requirements associated with use of recombinant DNA. Despite broad interest in RNA-guided genome editing, Cas9 and Cpf1 are limited by off-target mutations. We developed nuclease-digested whole genome sequencing (Digenome-seq) to profile genome-wide specificities of Cas9 and Cpf1 nucleases in an unbiased manner. Digenome-seq captured nuclease cleavage sites at single nucleotide resolution and identified off-target sites at which indels were induced with frequencies below 0.1%. We also showed that these off-target effects could be avoided by using purified Cas9/Cpf1 ribonucleoproteins (RNPs) and modified guide RNAs. Digenome-seq is a robust, sensitive, unbiased, and cost-effective (< USD 1,500) method for profiling genome-wide off-target effects of programmable nucleases. A new modelling strategy has been employed to get a better understanding on how the various structural units will impact the properties of LNA. The modelling pointed to the internucleoside phosphorothioate (PS) linkage and demonstrated that stereo defined LNA PS serve as specific determinants for LNA activity. Pre-clinical data will be used to illustrate how stereo defined PS can influence and improve central drug properties of LNA. PS has been a “hot topic” and debated over the years and adding to this the use of stereo defined vs. random mixture PS will be discussed in a bigger picture. MicroRNAs regulate biochemical pathways and networks of pathways by the mechanism of RNA interference (RNAi). Many microRNAs have been demonstrated to be dysregulated in human diseases. For example, microRNA-21 has been implicated in multiple organs as a microRNA associated with fibrosis and cancer. Therefore, microRNAs open a novel target space for drug development.This presentation will summarize the opportunities and challenges of developing microRNA-based drugs and will illustrate the generation of an anti-fibrotic microRNA-based therapeutic approach by targeting microRNA-21 with an antisense oligonucleotide (anti-miR-21). 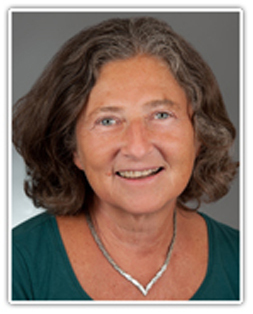 Judy Lieberman holds a Chair in Cellular and Molecular Medicine at Boston Children’s Hospital, is Professor of Pediatrics at Harvard Medical School and is Chair of the Executive Committee of Immunology at Harvard Medical School. She earned a Ph.D. in physics from Rockefeller University and worked as a theoretical physicist at the Institute for Advanced Study in Princeton and Fermilab, received an M.D. from Harvard and MIT, did a postdoctoral fellowship in immunology in the Eisen laboratory in the Cancer Center at MIT and worked as a hematologist/oncologist at Tufts Medical Center. She has received numerous awards for her research on AIDS vaccines, immunology and cancer. She is a member of the American Academy of Arts and Sciences. The Lieberman laboratory has been in the forefront of developing RNAi-based therapeutics and using RNAi for genome-wide screening. They have developed strategies for cell-targeted RNAi to treat viral infection, immune disease and cancer. They also investigate the role of microRNAs in regulating cell differentiation and cancer. The Lieberman laboratory also studies cytotoxic T lymphocytes and their role in immune protection from infection and cancer. They study the molecular pathways used by killer lymphocytes to induce programmed cell death of both mammalian cells and microbes, especially those activated by cytotoxic granule proteases, called granzymes, and immune pore-forming proteins. Effective therapeutic strategies for in vivo siRNA delivery to knockdown genesin cells outside the liver are needed to harness RNA interference for treating most diseases. Here we describe two flexible platforms for targeted delivery that use RNA aptamers or antibodies for selective cell uptake in vivo and gene knockdown. Dr. Muthiah Manoharan serves as Senior Vice President of Innovation Chemistry at Alnylam Pharmaceuticals, Cambridge, Massachusetts, USA. Dr. Manoharan joined Alnylam in 2003. He built the chemistry group at Alnylam and pioneered the discovery of GalNAc conjugated siRNAs for RNA interference (RNAi) based human therapeutics. He was the former Executive Director of Medicinal Chemistry at Isis Pharmaceuticals, Inc., a leading biotechnology company focused on antisense oligonucleotide-based therapeutics where he had a12-year tenure. 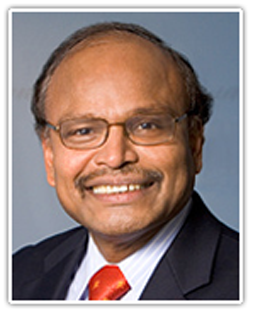 With a distinguished career as a world-leading nucleic acid and bioconjugate chemist, Dr. Manoharan is an author of nearly 200 publications and over 300 abstracts, as well as the inventor of over 200 issued U.S. patents. Prior to Isis Pharmaceuticals, He earned his Ph.D. in chemistry at the University of North Carolina-Chapel Hill and conducted post-doctoral work at Yale University and the University of Maryland. He was the recipient of the M. L. Wolfrom award of the ACS Carbohydrate Chemistry Division in 2007. At Alnylam, siRNA-GalNAc conjugates are emerging as a potential new class of medicine supporting a broad clinical pipeline across multiple therapeutic areas. We have been able to continuously optimize the siRNA chemical modifications and design resulting in the Enhanced Stabilization Chemistry (ESC) platform exhibiting improved efficacy and extended duration lasting for several months. Our progress and applications will be presented. Genetic information is passed vertically from parents to offspring. However, new information can also be transferred horizontally from one organism to another. Genomes are filled with evidence for this type of transfer. For example, viral remnants and transposons constitute nearly half of the total DNA in the human genome. In some cases horizontally acquired genes can be functional; mammals express viral glycoprotein homologs, syncytins, that promote membrane fusion essential to the function of the placenta. Similarly, the majority of (formerly) bacterial genes required for mitochondrial function have been transferred into the nuclear genome. My laboratory is interested in how organisms manage and regulate the transfer of genetic information both vertically and horizontally. We have recently discovered that the nematode C. elegans utilizes small-RNA mechanisms related to RNA interference (RNAi) to constantly scan all mRNAs expressed in the germline. Remarkably the animal develops a memory of all expressed (and silenced mRNAs) by transcribing, using a cellular RNA-dependent RNA polymerase, short antisense RNAs from mRNA templates. These ‘memory’ small RNAs are loaded onto Argonaute proteins and are transmitted in the egg and the sperm from one generation to the next. Foreign genes are recognized and silenced because the animal lacks a memory of these non-self mRNAs. The heart of this surveillance mechanism is a highly conserved Argonaute protein (the Piwi Argonaute) and its genomically-encoded small RNA co-factors (piRNAs). The conservation of these factors raises the interesting possibility that other animals including humans employ RNA-guided scanning to distinguish self and non-self genetic information. Mikiko C. Siomi earned her Ph.D. in Agricultural Chemistry from Kyoto University, Japan in 1994, and then did post-doctoral studies with Prof. Gideon Dreyfuss, HHMI/University of Pennsylvania School of Medicine. Later, Dr. Siomi earned another Ph.D. in Medical Science from the University of Tokushima, Japan in 2003. 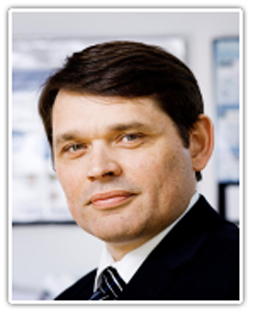 Dr. Siomi started a joint laboratory with Prof. Haruhiko Siomi in the University of Tokushima, Japan in 1999 for elucidating the function of FMRP and the mechanism of RNAi using the Drosophila system. The laboratory discovered that Ago2 protein, the key player of RNAi, interacts with FMRP, an RNA-binding protein that is encoded by the fmr1 gene, the responsible gene for causing Fragile X Mental Retardation. Later, Dr. Siomi focused on elucidating how RNAi mechanistically occurs and the molecular mechanisms of piRNA biogenesis in the germlines. 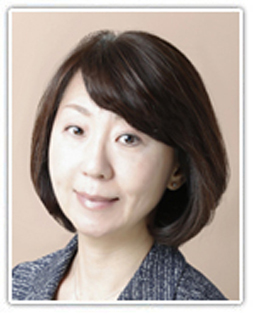 Dr. Siomi started her own laboratory at the University of Tokyo in 2012 (http://www-siomilab.biochem.s.u-tokyo.ac.jp/index.html). Dr. Siomi co-authored numerous research articles, reviews and book chapters, and currently serves as the president of the RNA Society of Japan and the vice-president of the Molecular Biology Society of Japan. piRNAs are produced from single-stranded long non-coding RNAs that are transcribed from intergenic piRNA clusters on the genome in the germline. Mature piRNAs are loaded onto PIWI proteins to yield piRISCs and guide the complexes to target RNAs to repress them. piRNAs in the germ cells are then amplified by the ping-pong cycle, in which transposon transcripts are consumed as both the source of piRNAs and the targets of PIWI cleavage, thereby repressing transposons in the cytoplasm. It is becoming clear that piRISCs also mediate transposon silencing in the nucleus in a PIWI cleavage-independent manner. We use two cultured cell lines OSC and BmN4 to understand mechanism(s) underlying the piRNA pathway in animals. 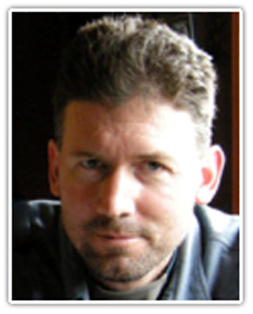 Erik Sontheimer is Professor in the RNA Therapeutics Institute (RTI) at the University of Massachusetts Medical School. He received his Ph.D. in 1992 from Yale, where he did his thesis work with Joan Steitz on pre-mRNA splicing mechanisms. He was then a Jane Coffin Childs Fund postdoctoral fellow with Joe Piccirilli at the University of Chicago. In 1999, Sontheimer joined the faculty at Northwestern, where he turned his attention to small RNA-based gene regulation in eukaryotes. In 2008 his laboratory also began working on genetic interference in bacteria. Among other advances, they provided the first demonstration that CRISPR RNAs (crRNAs) can target DNA, as well as the first explicit recognition of crRNA’s potential for gene targeting in eukaryotes, pointing the field down the path of RNA-guided genome engineering. He has received an NSF CAREER Award, a New Investigator Award from the Burroughs Wellcome Fund, and the Nestlé Award from the American Society for Microbiology, and he has also been elected to the American Academy of Microbiology. In 2014 he moved to the RTI, where he is continuing his research on the fundamental roles of RNA molecules, and on their uses in biomedical research and medicine. He is a co-founder and Scientific Advisory Board member of Intellia Therapeutics, which is developing Cas9-based genome editing for clinical applications. Cas9 enzymes confer phage immunity in many bacteria and are of great utility in RNA-guided genome engineering. Of the three subtypes of Cas9-based CRISPR systems (TypesII-A, -B and -C), Type II-A Cas9s [e.g. SpyCas9 (1,368 amino acids)] are the best characterized for genome editing. Most Type II-C Cas9 orthologs are considerably smaller (<1,100 amino acids) than SpyCas9, suggesting potential advantages, and our previous work has also defined mechanistic distinctions such as CRISPR RNA (crRNA) processing independence as well as an unusual DNaseH activity. We also adapted NmeCas9 as an effective genome-engineering platform in human pluripotent stem cells and elsewhere. We have since defined the unusually high accuracy of NmeCas9 genome editing, and established unique methods to control its editing activity both temporally and spatially. This presentation will describe these and other recent results. Born in Shanghai, after high school, he was sent to France by Chinese government to study theoretical physics. After M.S. 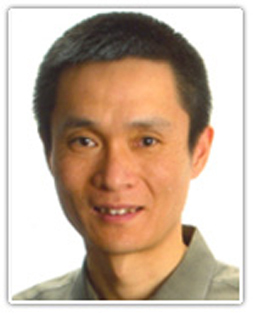 degree, he served as assistant professor in the Department of Physics at Fudan University. Later on, he returned to Paris to study nucleic acids, was awarded Ph.D and Habilitation degrees in biophysics at Pierre & Marie Curie University. He also had an entrepreneurial training at HEC business school. His research in nucleic acids (100+ peer-reviewed publications, 8 patents) led him to co-invent an original concept with Dr. Marie Dutreix at the Institut Curie – “the signal interfering DNA (siDNA)” which jams the recognition and signaling of double strand break (DSB) by using a short dsDNA mimicking a DSB. Acting agnostically at upstream, it can blind DSB repair signaling, thus inhibit all DSB repair pathways causing cancer cell death due to unrepaired DSB, while preserving normal cells. 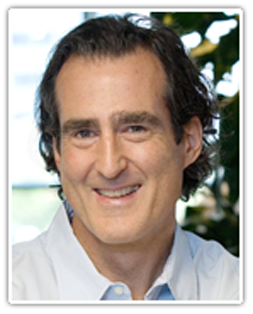 In 2006, he co-founded DNA Therapeutics, served as Chairman & CEO, managed from scratch to clinical stage this virtually integrated biopharmaceutical company and executed from concept to clinic a 1st-in-class drug development with the help of the experts aggregating skills in early stage drug development, CMC, regulatory affairs and business development. After demonstrating good safety and significant antitumor activity of the 1st– in-class siDNA drug candidate in a phase I/IIa trial in patients with cutaneous metastatic melanoma (presented at the ASCO 2015), the Company was acquired in early 2016 by Onxeo – a public company specializing in the development of innovative oncology therapeutics. After closing, he is back to MNHN, focusing his research on the interplay between DNA damage, cancer and aging. Prof. Sun received the physical chemistry 1991 award by French Chemical Society, the joint Grand Prize of Life Science 2006 by French Senate, INSERM-Transfert and ESSEC, the Award of Best Innovative Entrepreneur in Health 2008 by French Business Angels investing in health, the Next Gem award of best biotech at Biovision Investor Conference 2013. Enhanced DNA repair activity in advanced stage cancers confers resistance to treatment. The inhibition of DNA repair makes resistant cancers vulnerable to the cytotoxic effects of chemotherapy and radiotherapy, can restore their efficacy. However, as a major cell survival mechanism in all living kingdoms, DNA repair is made of specialized and redundant pathways. Therefore, the inhibition of DNA repair by a classic single target inhibitor is inefficient, except in the case of concomitant genetic defects in alternative pathways (i.e. BRCA mutations for PARP inhibitors). Signal interfering DNA (siDNA) is a novel approach to fully inhibit DNA repair activities, as siDNA jams the recognition and the signaling of the most lethal DNA damage – double strand break (DSB), by using a synthetic short double strand DNA fragment mimicking a DSB lesion. Acting agonistically at upstream of all DSB repair pathways, siDNA can blind DSB signaling that disorganizes DSB repair system and thereby inhibits all DSB repair pathways. Genetic instability and other characteristics of cancer cells make them highly sensitive to the consequence of siDNA-induced DSB repair inhibition as compared to normal cells, and thus provide good safety and high therapeutic index. This presentation will describe the mechanism of action, preclinical and clinical proofs of concept of siDNA jointly studied by DNA Therapeutics and the team led by Dr. Dutreix at the Institut Curie. Elizabeth Tran earned her PhD in biochemistry at North Carolina State University where she developed an in vitro assembly and methylation system for trans acting box C/D snoRNAs. She then pursued postdoctoral training in the laboratory of Dr. Susan Wente at Vanderbilt University, where she identified the role of the RNA helicase Dbp5 in nuclear mRNA export. 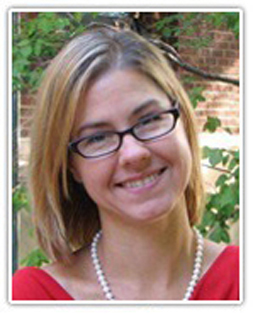 She joined the faculty at Purdue University in 2009, where she explores the biochemical mechanism and biological function of DEAD-box RNA helicases, a class of enzymes that are required for all aspects of RNA metabolism but whose in vivo roles are yet to be identified. Her laboratory is most well known for studies of the DEAD-box RNA helicase Dbp2 in S. cerevisiae and insights into the roles of long non-coding RNAs (lncRNAs) in gene expression. These insights span the fields of RNA biology, epigenetics, and metabolism. Moreover, the scientific community has highlighted her work for pivotal, paradigm shifting advances in lncRNA biology (Best of JBC 2012, Nature highlight, Science Signaling highlight). Her long-term goal is to understand the connection between RNA structure, gene regulation, and cellular adaptation in relationship to organismal survival and human pathology. In addition to research, Dr. Tran is a strong supporter of the international scientific community and mentoring the next generation of scientists. She is currently serving a two year term as a Director on the Board of the RNA Society, an international organization with ~1000 members worldwide. Long non-coding (lnc)RNAs, once dismissed as a products of spurious transcription, have now emerged as biochemically diverse regulators of the eukaryotic transcriptome. By virtue of technological advances in sequencing, current studies estimate the number of lncRNAs in mammals to be ~50,000-90,000. However functional characterization of individual lncRNAs has lagged behind. Studies using the budding yeast Saccharomyces cerevisiae, an organism that relies heavily on lncRNAs following evolutionary loss of the microRNA pathway, have provided unprecedented insight and paradigms for gene regulatory mechanisms. Using this model system to define the roles of individual lncRNAs, we found that the galactose (GAL) genecluster-associated lncRNAs promote transcriptional induction through formation of lncRNA-DNA hybrids or R-loops. Formation of these structures is regulated by the evolutionarily conserved RNA helicase Dbp2, whose cellular localization is regulated in response to environmental cues that stimulate induction. The GAL lncRNAs promote displacement of the Cyc8 corepressor and subsequent gene looping, a role that provides a competitive fitness advantage to yeast cells by promoting a faster response to the presence of galactose in the media over yeast cells lacking the GAL lncRNAs. RNA-seq of the DBP2-dependent transcriptome reveals that this enzyme plays a widespread role in regulation of the metabolic gene network. Because the GAL lncRNAs promote faster transcriptional induction without impacting the final steady-state transcript levels, we predict that regulated lncR-loop formation is a widely used mechanism to control the timing of transcriptional switches necessary for adaptation, growth and development. 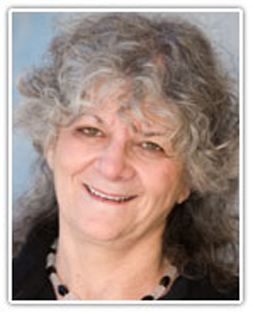 Ada Yonath is focusing on protein biosynthesis, on antibiotics hampering it, on pathogenic parasites and on the origin of life. She graduated from the Hebrew University, Jerusalem, and postdocted at Carnegie-Mellon and MIT (USA). In the seventies she joined the Weizmann Institute and established the first structural-biology laboratory in Israel. During 1986-2004 she also headed Max-Planck-Research-Unit for Ribosome Structure in Hamburg. Among others, she is a member of US-National-Academy-of-Sciences; Israel Academy; German Science Academy (Leopoldina); the Pontificia Accademia-delle-Scienze (Vatican). She holds honorary doctorates from the universities of Oslo, NYU, Mount-Sinai, Oxford, Cambridge, Hamburg, Berlin-Technical, Patras, De-La-Salle, Xiamen, Lodz, Strasbiurg. Her awards include the Israel Prize; Louisa-Gross-Horwitz Prize; Linus-Pauling Gold Medal; Wolf-Prize; UNESCO/L’Oreal Award; Albert-Einstein-World-Award for Excellence; Nobel Prize for Chemistry. Combating resistance to antibacterial and anti-parasite ribosomal antibiotics? Resistance to antibacterial and anti-parasitic agents alongside the spread of non-degradable antibiotics metabolites are severe problems in contemporary medicine and ecology. Recent structures of ribosomes from multi-resistant pathogens and from a eukaryotic parasite identified features that can account for species-specific diversity in infectious-diseases susceptibility. These structural features may lead to design of environmental-friendly degradable drugs, which will also be species-specific antibiotics-drugs, thus, reducing resistance while protecting the environment and preserving the microbiome. 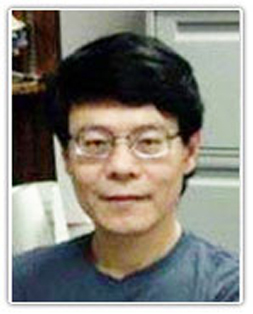 Yi-Tao Yu received his PhD degree in Molecular Biology from Case Western Reserve University in 1994. He was awarded a post-doctoral fellowship from the Damon Runyon Cancer Research Foundation, and did his post-doctoral work (RNA biology) with Joan Steitz at Yale University (HHMI) from 1995 to 1999. He then joined the faculty of the Department of Biochemistry and Biophysics at the University of Rochester in late 1999. 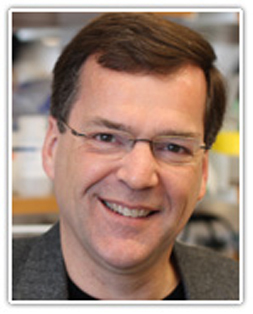 He is currently also a member of the Center for RNA Biology and Chair of the RNA Structure and Function Cluster at the University of Rochester. 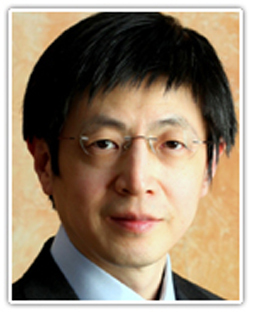 Dr. Yu’s research interests are in the areas of RNA modification, snRNP biogenesis and pre-mRNA splicing. Over the years, he has generated numerous publications and made significant contributions in these areas. Pseudouridylation and 2’-O-methylation are the most abundant modifications found in RNAs. These modifications are catalyzed largely by RNA-guided mechanisms. By changing the guide sequences within the guide RNA, we can re-direct modifications to new sites. With regard to function, our work indicates that modifications can profoundly alter the chemical properties of an RNA, thus influencing the contributions of the RNA to cellular process in which it participates.